Rabbits to Red - Cromwell Basin Vineyards. 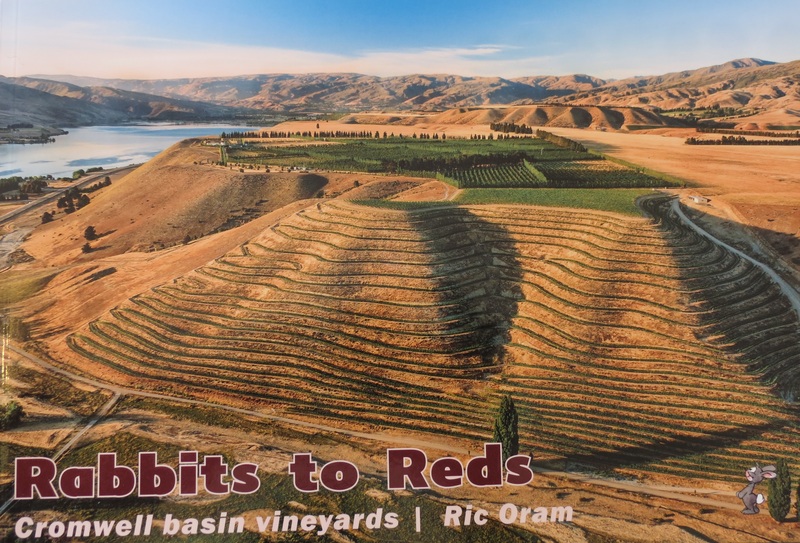 Alexandra writer and Otago Daily Times columnist Ric Oram has launched the second in his series of three books about Central Otago vineyards. Rabbits to Red - Cromwell Basin Vineyards was released at the Cromwell Wine and Food Festival earlier this month. He said he started researching and writing in June last year and completed it in November. It features the stories of about 30 of the 120-odd vineyards in the Cromwell basin and boasts some stunning photos, including one of the Akarua Winery's ''25 steps'' on the front cover, taken by photographer Gilbert van Reenen, of Wanaka, from a helicopter before 6am to take advantage of the light. Oram said he wanted to tell the stories of some of the grape growers - the ''blood, sweat, tears and especially the passion that many winegrowers put into their bottle''. He talked to people who did some of the early plantings, as well as those who owned or managed either a few hectares or some of the big corporate vineyards, as well as some of the more prominent industry identities, including the Dicey family, he said. ''It is just a snapshot. He said he was surprised by the number of vineyards in the area, many of which were tucked into valleys throughout the area. He also looked at the history of grape growing in the area, including its links to gold mining, as well as the introduction of rabbits, hence the book's title. A drawing of Bendigo's John Perriam by cartoonist Malcolm Evans graces the back cover. Oram said he also found quite a few other interesting stories. An old vine planted by a gold miner near Bendigo in the late 1880s had survived ''up to 150 years of drought, frost, neglect and browsing by sheep and rabbits''. Quartz Reef co-owner Rudi Bauer took cuttings from it in 2014 and now had 12 vines producing black-skinned table grapes or ''bird tucker'', Oram said. Another grower used an electric blanket frost-fighting method in which canes were tied to electric wires to keep them and the buds warm on cold nights. ''I tripped over the story of how the community was up in arms when the Wooing Tree vineyard was first being developed and an old tree, the Wooing Tree, was going to be felled. ''The locals wanted the tree kept as there had been a bit of wooing going on under the tree and even a proposal. ''There was even a poetry competition for the campaign to keep it. The author intended to add another publication to the book series about Gibbston and Wanaka vineyards and possibly a coffee table book covering the whole of the grape-growing region. The book is available from i-Sites and cellar doors.